Triangle Down Syndrome Network Inc - Together we can do so much! Empower, connect and support people with Down syndrome and their families! Meet Kasey. 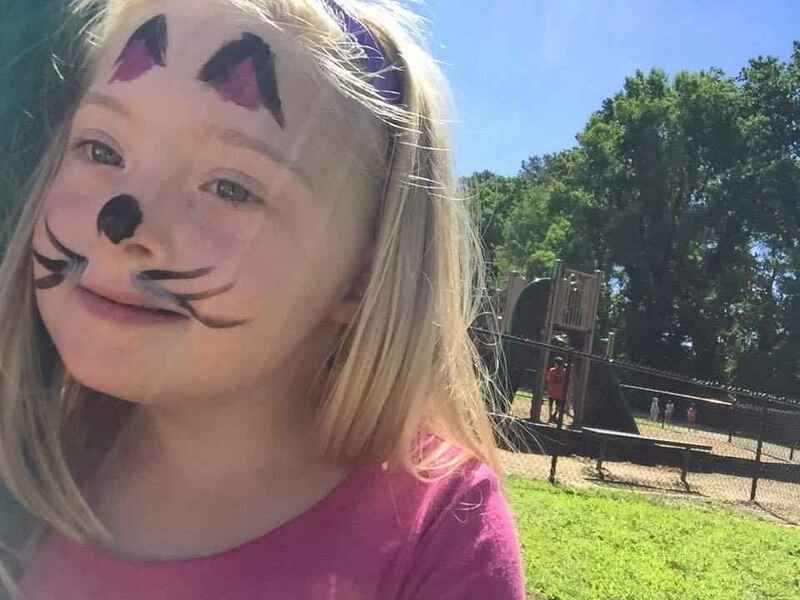 She is eight years old, in the second grade, loves Peppa Pig and happens to have Down syndrome. When Kasey's parents found out about her Down syndrome diagnosis 10 weeks into the pregnancy, they reached out to the Triangle Down Syndrome Network (TDSN) for support. We provided the family with a Welcome Baby Bag containing gifts for baby Kasey and our TDSN New Parent Handbook. Kasey's parents were also connected to other families of children with Down syndrome at a TDSN New Parent Social. Many of the friendships that began at the New Parent Social continue today and still provide support to Kasey's family. In the last eight years, her parents have attended educational seminars, family socials and playdates through TDSN. Her mom now volunteers to help welcome new families who are just learning about Down syndrome. We will be there for Kasey and her family as she grows helping to ensure that she will meet her full potential. We will also work to educate the healthcare community on best practices in delivering a Down syndrome diagnosis and advocate for the inclusion of people with Down syndrome in all aspects of our community. All these services are done strictly on a grass roots level with no government funding. Your donation is vital and makes this important work possible. Thank you! Learn more about Kasey and her family in the video below. We honor the Love of all children.